Cutting an access hole in a smoke duct / instrument sled support. 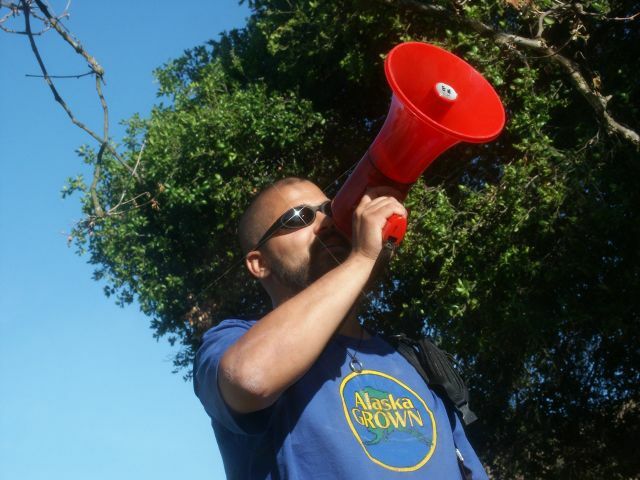 Dev was the foreman for the Caltech Dabney House "Drop Day" party. 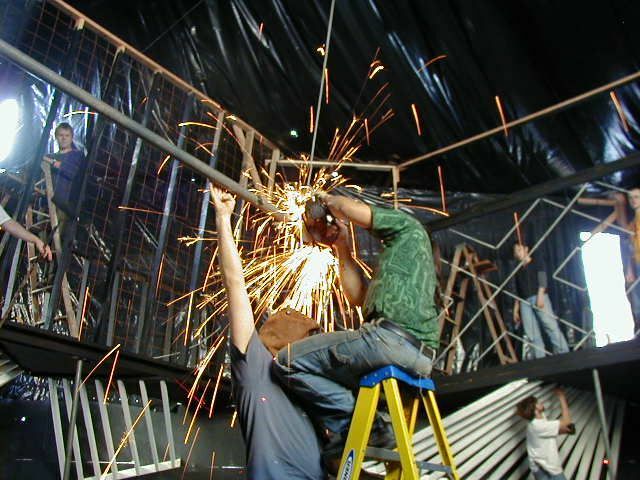 He led a group of thirty students in building an enclosed dance structure with custom electronic light effects. 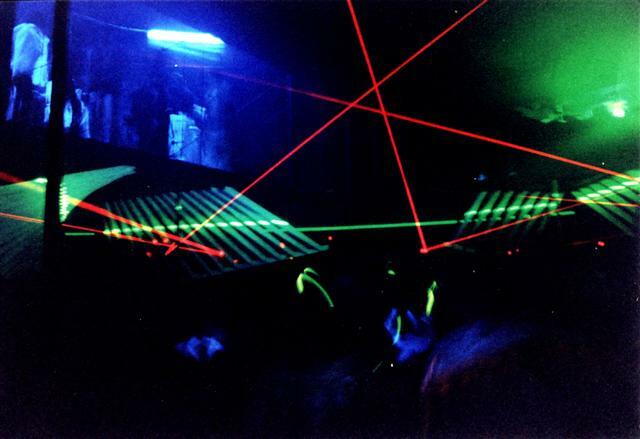 The finished dance floor with custom laser and LED light effects. 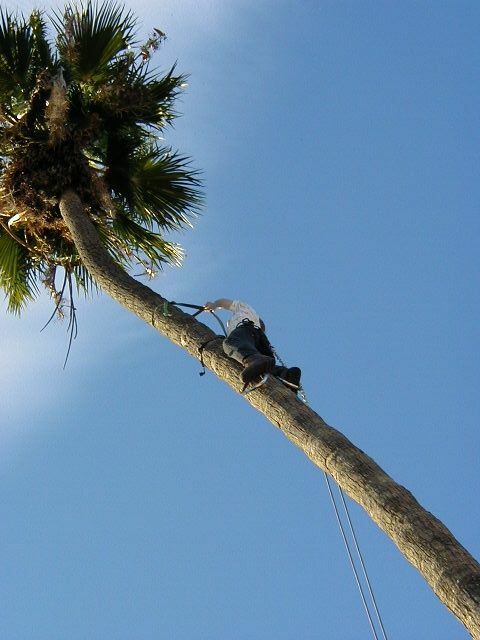 Climbing a 18-meter palm tree in order to set up a chain and pulley system using custom climbing equipment. 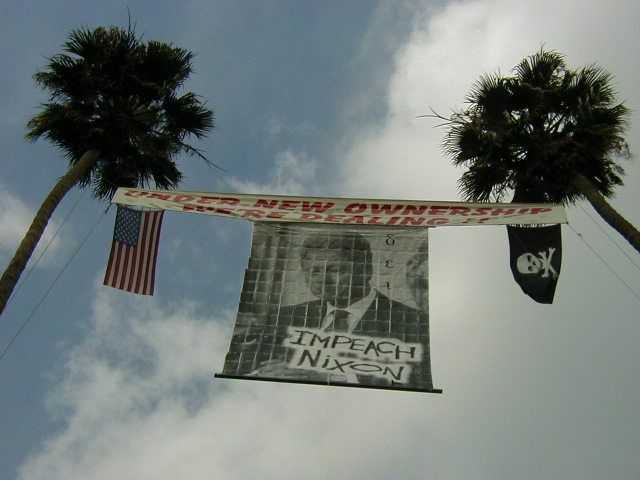 A banner spanning two 18-meter palm trees on the Caltech campus, for a prank in honor of President Bill Clinton's visit to the university. 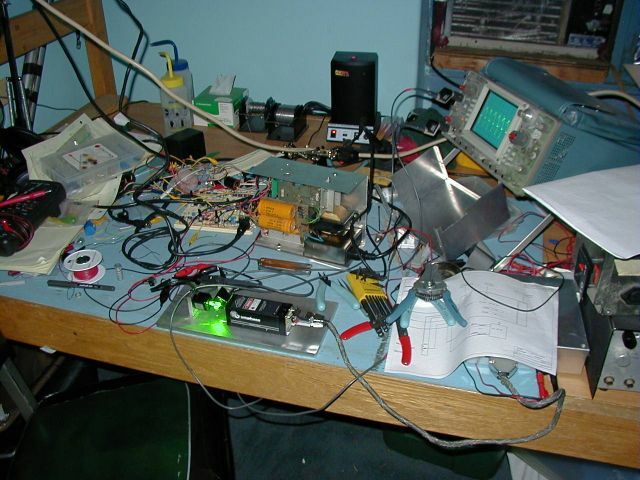 A view of Dev's workbench. The project is a custom laser projector. 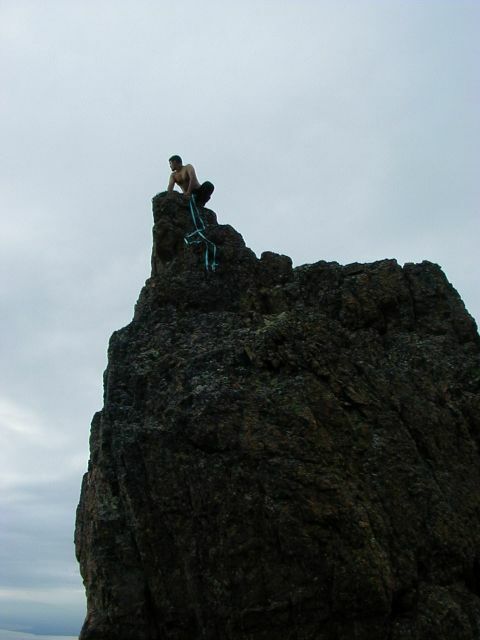 On top of a rock on Ptarmigan Peak in Alaska. 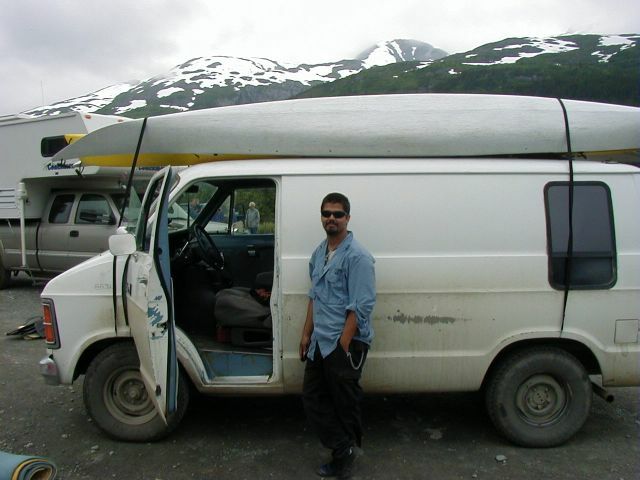 Preparing to unload the sea kayaks before an expedition in Prince William Sound, Alaska. 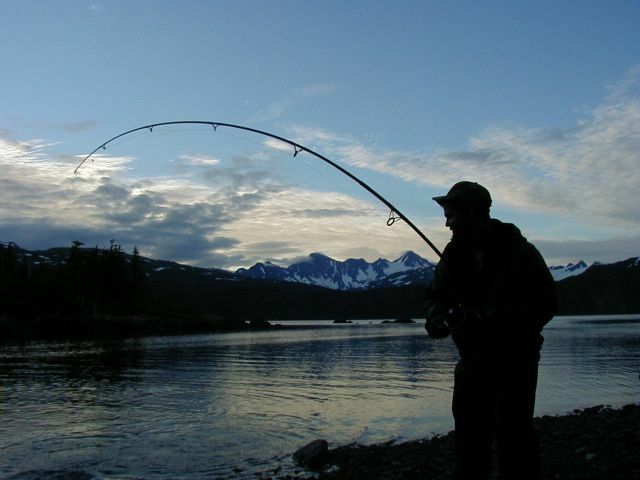 Reeling in a pink salmon in Prince William Sound, Alaska. 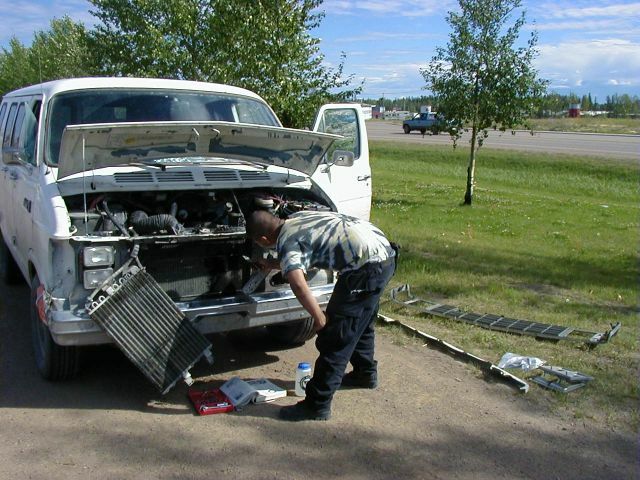 Improvising a repair to the van's cooling system in British Columbia. 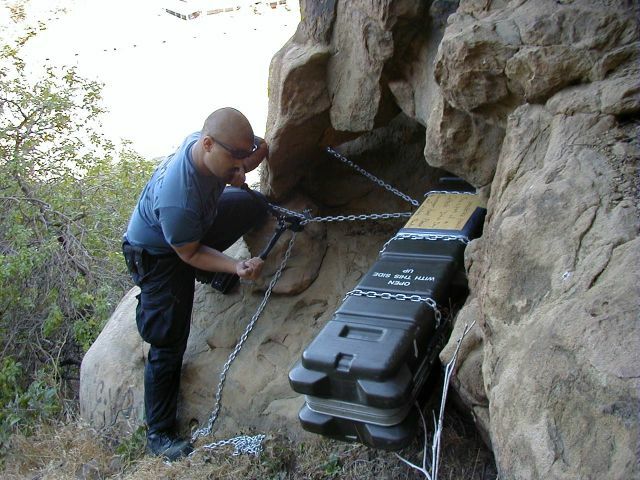 Fastening a surplus missile case to a rock. The case is a clue in an elaborate scavenger hunt organized by Dev and his friends. 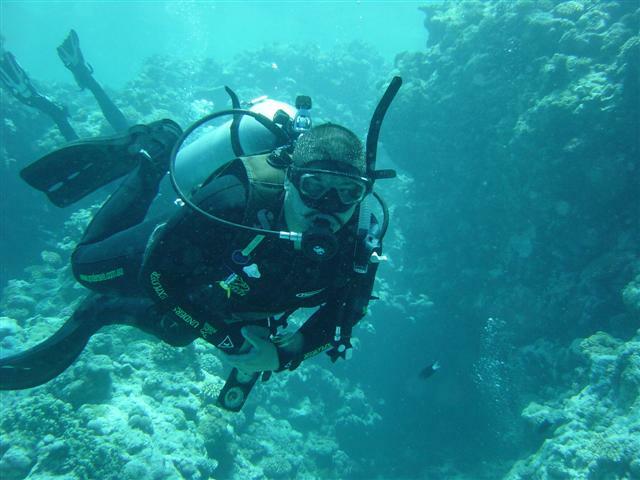 Exploring the reef 30 meters beneath the Coral Sea near the coast of New Guinea. 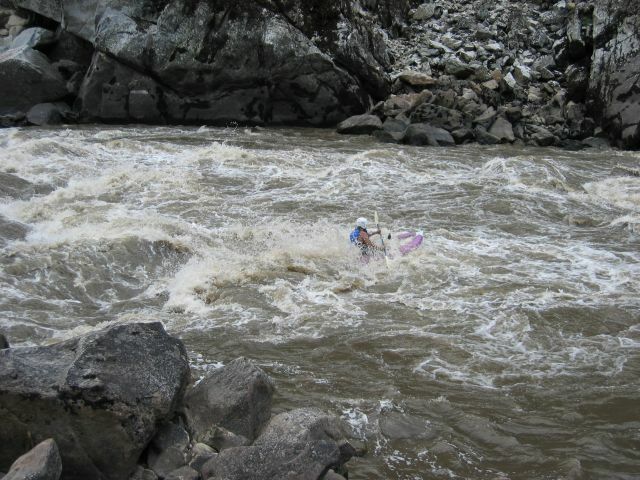 Shooting the Class 4 Vinegar Rapids on the Main Salmon River, Idaho. 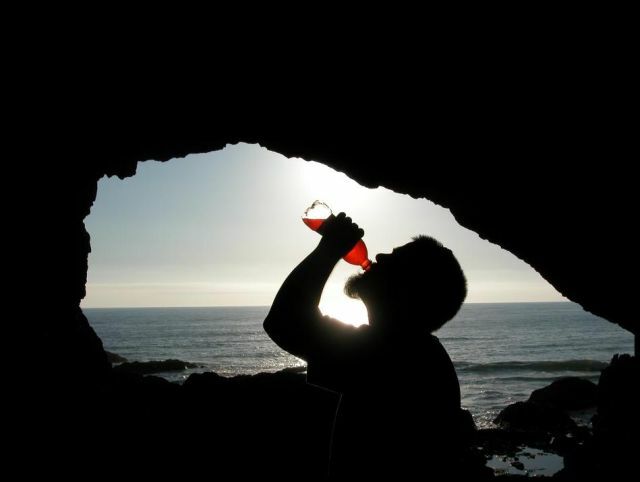 Camping in a cave on the Oregon coast. Rallying friends for Memorial Day activities. 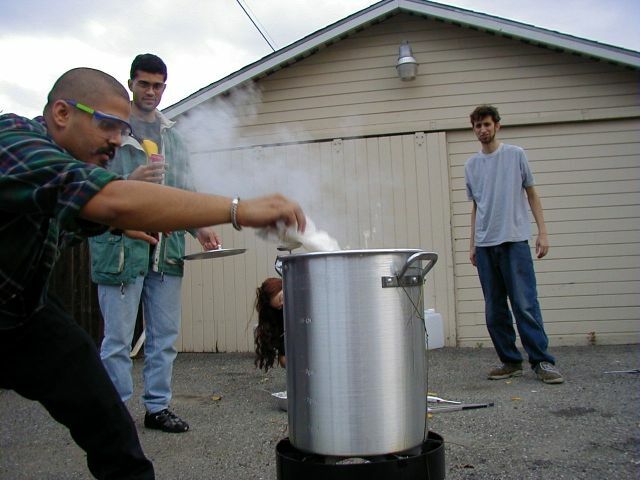 Preparing to deep-fry a turkey and other household items on Thanksgiving. Setting sail in a homemade boat. 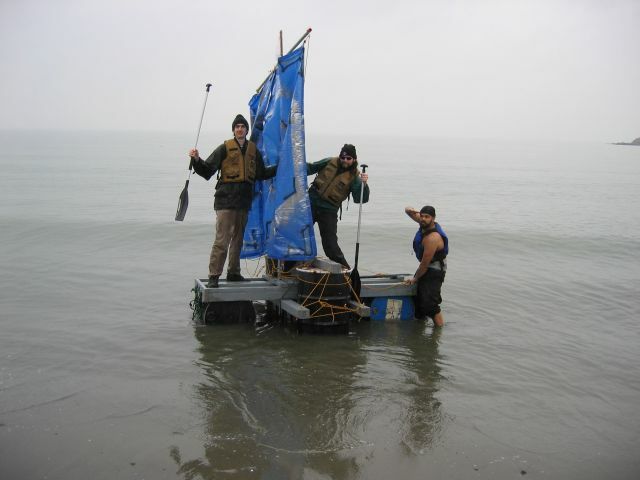 Dev built the vessel from oil drums, scrap wood, and a tarp and sailed it into the San Francisco Bay. 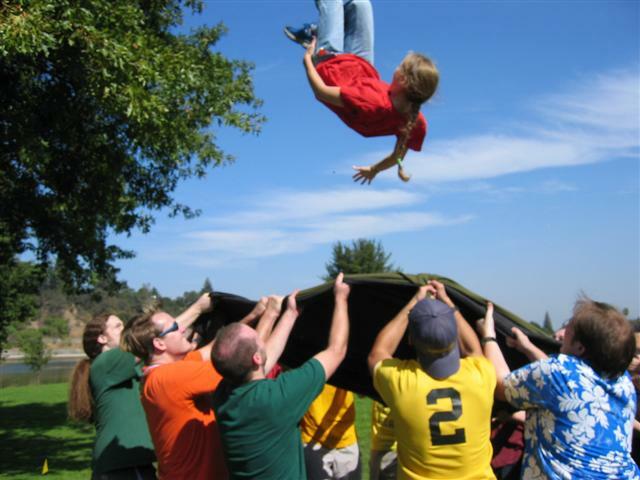 Enjoying a blanket toss during Field Day. Dev organized a full day of field games and competitions for two dozen friends. 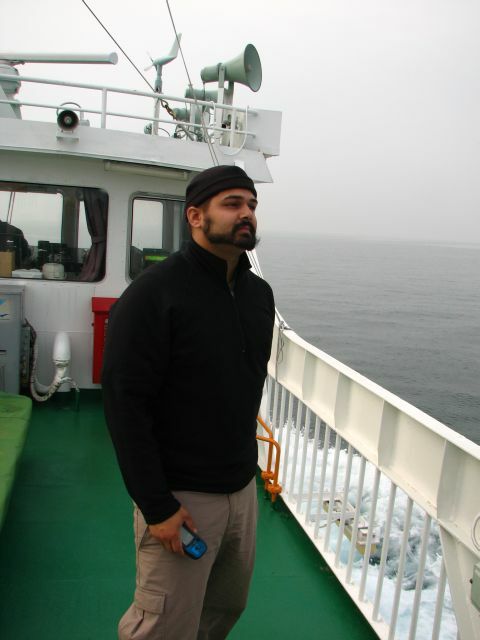 Steaming towards Aijima Island, off the coast of Shikoku Island, Japan. 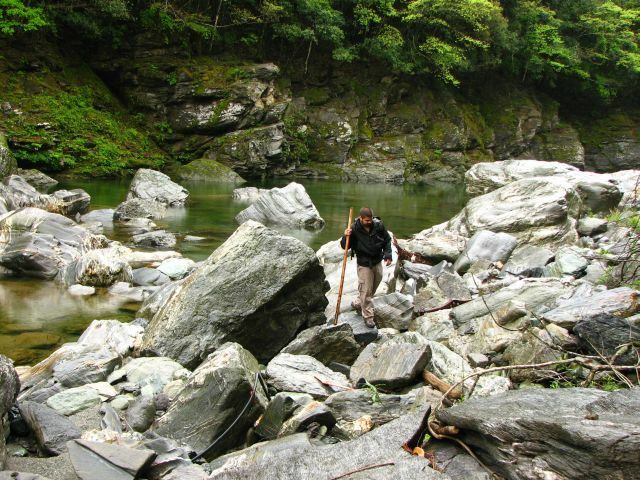 Crossing a stream in rural Japan. 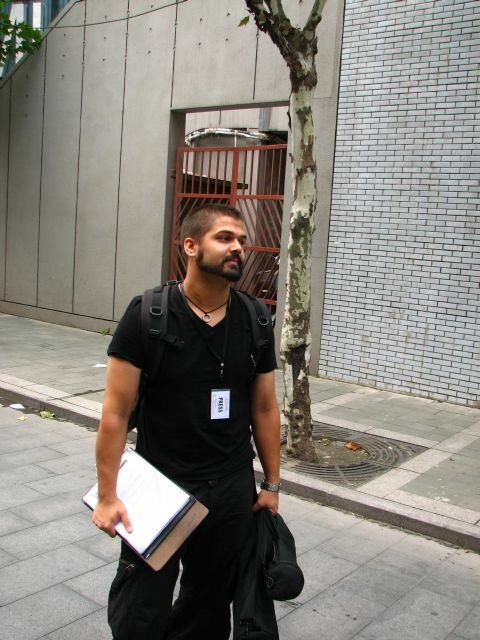 Preparing to photograph the Shanghai International Art Festival for artnet.